For many homeowners, the joy and value of kitchen renovations are a great idea. People understand how beneficial home remodeling can be, but the cost is one factor that can make it hard to pull the trigger. We understand! You have a lot of costs to consider in your daily life, and setting aside a few thousand dollars for kitchen renovations can prove difficult. Before you give up hope, know that there are cost-effective updates that can provide major improvements to your life. Detail Design & Remodeling is proud to be your trusted home remodeling contractors across Georgia. We specialize in home improvements and cabinet refacing for Atlanta homes and beyond, delivering long-lasting results that you are sure to love. Our team strives for excellence in all endeavors, with the price always being a top priority. Today, we’ll highlight a few more cost-effective kitchen remodeling ideas that may inspire you to make the most of your space without breaking the bank. 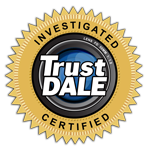 If you’re ready to benefit from kitchen cabinet refacing services, be sure to call us now! In order to save on fixtures and other updates, you can focus on creating the best effects in certain areas of your kitchen. A large, hanging pendant light can make a statement while illuminating colors that work to either match or contrast the counters and floors. Be sure to keep your entire kitchen in mind when planning your design scheme, as many DIYers become too focused on one aspect or area. We have learned that crafty combinations can be more effective than costly improvements. Small features throughout your kitchen and dining room can add up to create a high-quality feel that didn’t hurt your bank account. One idea for those looking to pay more in elbow grease than price with their kitchen improvements can seek out furniture at very affordable prices. Right now is garage sale season across Georgia, with estate sales, moving blowouts, and more, giving consumers a wide selection of furnishments. If you can find a table that matches your new style with a unique flair, you shouldn’t be hard pressed to pay almost a thousand dollars! Many driveway vendors will be willing to part with their bulky, unwanted furniture for a good price. Another place to check is your local thrift store. These days, residents are donating their extra furniture to charity drop offs that sell the items for a good cause at a good price. On the right sale days, you can save big on furniture that is still in usable shape. Those that feel confident in their craftsmanship can invest in cheaper elements and refinish them for a beautiful result that is easy on your wallet. While you’re looking at thrift stores, keep in mind that second-hand construction outlets provide a wide range of light fixtures that may help to enhance your project. A four-dollar hanging light may be just what your kitchen area needs to truly shine. One error we’ve seen across many remodeling projects is improper lighting balances; people often overdo it or under illuminate their space. Both practices can impact the quality of your hard work. Be sure to take the time to plan your lighting scheme. Oftentimes, you can find an affordable solution if you know where to look! Versatile storage designs can help you to minimize the clutter while saving money. Those on a budget may also have to deal with limited space, making quality storage a smart choice. By moving your fridge or smaller appliances, you may be able to open enough space to install a new cabinet, shelf, or other fixture. There are many options available to enhance your storage while preserving space, including magnetic wall-mounts, collapsing pins, and more. Working with a professional may sound costly, but in the end, an experienced home remodeling contractor may be able to offer suggestions for an improved income. Detail Design & Remodeling is here and able to help with projects of all sizes, so be sure to contact us for an estimate for your renovations! The value is in the details. Those who benefit the most from cost-effective kitchen renovations are the homeowners who take the time to plan every small detail for the biggest outcomes. Matching textures in cabinets, surfaces across appliances, and other minor pairings that improve the aesthetics of your kitchen will add up. One cost-effective service is kitchen cabinet refacing, where your current cabinet system is kept in place and given a facelift. This minimizes the downtime, labor, and waste associated with standard cabinet replacements. You can save more than half of this cost by working with the Detail Design team today! If you’re planning on enhancing your kitchen space this summer and are not sure how to proceed, we recommend contacting a professional for tips and guidance. 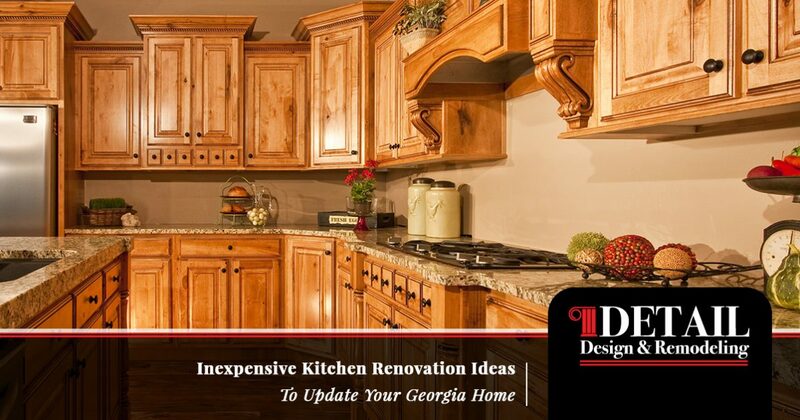 If you’re considering cabinet refacing for your Atlanta property, Detail Design & Remodeling is here and ready to get to work. Contact us today to learn more!